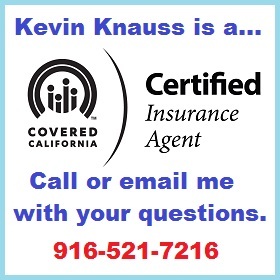 Kevin Knauss California Independent Health and Life Insurance Agent. I’m the old man behind Insure Me Kevin. I made the career change to insurance several years ago and found out I have more fun providing quality information to people than actually selling insurance. 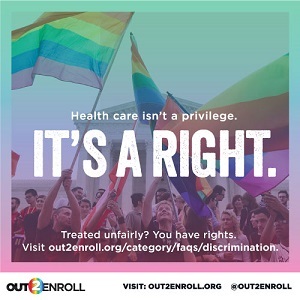 Health insurance is governed by an overwhelming number of rules and regulations that seem designed more to protect the profits and revenue of insurance companies over the health and well being of the consumer. From the short time I have been in the health insurance industry, I have seen too many people that have been denied health insurance, led astray by poor information or have struggled to get adequate information to make a good decision. 1. I will respect your time and decisions. 2. I will not try to sell you a product that you do not want or need. 3. I will not call you in the evening unless you ask me to. 1. Good decisions come from good information, knowing the options and the products. 2. You can’t make a quality decision if you are under “sales pressure”. 3. You must treat clients in the same manner as you would like to be treated. 4. There is no greater joy than helping someone else. I support the ACA. It’s not perfect, but it’s a better system than the one we have now that puts profits before people. My Navigator page shows some of the different options for guarantee health insurance through California’s health insurance market place, Covered California. I post blogs on the development of the exchange, health plans offered, and the premium assistance offered. How much does a health insurance agent earn? When I’m not working on health insurance, I write about history. You can read about my latest book, Hidden History Beneath Folsom Lake. Kevin Knauss member of the Sacramento Rainbow Chamber of Commerce. At the January 23, 2014 Covered California Board meeting I spoke on how I had several families whose applications failed to be transmitted to the health insurance companies resulting in no health insurance being offered. The rules and regulations surrounding Medicare Part A, B, C and D, coupled with supplement plans can be a daunting challenge to understand. For the most part, they are good rules set down by the Centers for Medicare and Medicaid to protect the medicare beneficiary. I have done Medicare Educational Seminars in the past and I am open to future presenting future events that are purely for educational purposes. You can contact me if you would like to arrange for me to speak at one of your events. I only use Medicare approved presentations. Small group health plans can be a good deal for employers and employees. The health insurance premiums can be set up as pre-tax deductions and the employer can offer dental, vision, life and other products as well. Covered California will be offering their Small Business Health Options Program (SHOP) along with their individual and family health plans (IFP). Some small groups may want to dissolve their group plans so the employees can take advantage of the premium assistance under the Covered California IFPs. Each small group will have to look at the cost-benefit analysis to see if it makes sense. The Death Master File is there to protect beneficiaries. You know if you need life insurance. If you do, think term life insurance first. To be perfectly honest, I just don’t see the value of some of the whole life, universal life, or indexed life insurance options on the market today for the average family. I would rather see folks contribute to their kids college funds or retirement before making a big investment in life insurance. Although, permanent life insurance like whole life and universal life do have a place for some high net worth individuals when they are considering retirement, financial planning or want to leave a legacy fund to a favorite nonprofit. If you are looking for a little bit of life insurance for funeral and final expenses you can visit my Term Life Insurance page. I have been paying my own insurance for about a year after a job change and it has been a nightmare…for approx. $ 450 a month, one would expect great service, right?!? The sales person signed me up for a program that is apparently not accepted by my (now former) network – PAMF here in Santa Clara, CA. I found out the hard way after they hit me with a $2,000 bill. I managed to dispute this bill since nobody alerted me at the check in for the procedure. However, I ended up paying the same amount right up front as my deductible, when I had a follow up surgery at another (approved, in-network) location. The worst thing is just like most of you have mentioned – you call and call all over the place to make sure you are covered, but nobody really seems to know for sure. And they always tell you to check online. You go online, but there is a disclaimer that the information provided might have changed!!! And you are stuck with a bad program for a year. This should not be allowed. We as patients / customers are at the mercy of dishonest and/or uneducated people. You’ve summed up some major problems for the individual and family health plans. No one really seems to be addressing these problems. The doctors and their California Medical Association could certainly make it easier for people to find physicians and determine their network status if they wanted to. But they think it is someone else’s problem. I think most providers do renew contracts. But what I have found is that they may have different locations they work out of and bill from. A doctor may be in-network at one office, but if you see the same doc at another office and medical group, they are out-of-network. While I know people love the freedom of a PPO, some of the HMO plans provide more assurances that there will be no out-of-network surprises. But there are not a lot of what I would consider quality HMO plans with excellent medical groups. You either love or hate Kaiser. Sutter Health Plus has PAMF in-network, but Sutter is not offered through Covered California so you have to pay the full premium amount. 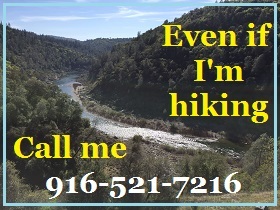 WHA and Sharp are also pretty good regional HMOs if you are in the Sacramento or San Diego areas.